As a Red born in 1967, I have been truly blessed. I can boast that I have seen many of the true greats in the flesh, but that only makes the task of selecting my lifetime eleven all the more difficult. I am bound to leave out some true legends. All I can hope for here is to squeeze as many of my heroes into the eleven as I can. I have gone for a rock solid defence with attacking full backs, a midfield of real hard men, all of whom could score goals and what, in my opinion, would be the most prolific strike-force of all time. Signed the year I was born by the great Bill Shankly, Clemence went on to become an ever-present for Liverpool making a massive 665 appearances for the Reds before departing for Spurs in 1981. 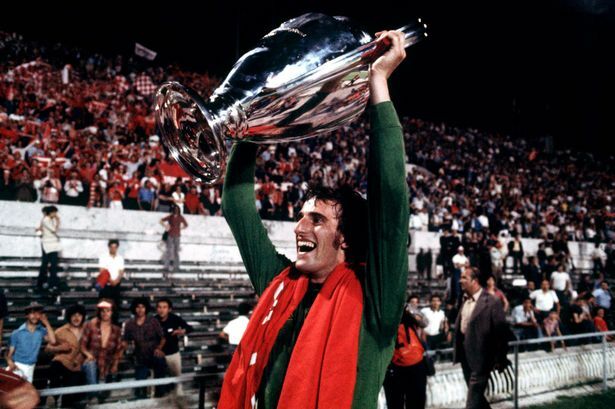 He must be the most decorated English goalkeeper, winning 3 European Cups, 5 League Championships, 1 FA Cup, 1 League Cups and 2 UEFA Cups.Back when I actually gave a toss about the England national team it used to really annoy me that Shilton ever got a start of Clemence. I would later grow to love Grobelaar, but Clemence will always be our greatest keeper for me and I will always remember him for the 78/79 season when we won the league and Ray only conceded 16 goals. Nicknamed Zico by the Kop, Phil was ice cool from the spot and often waded in with important goals. He narrowly pips Steve Nicol in my list. He is also the clubs most decorated player having collected eight league titles, four League Cups, five Charity Shields, four of our five European Cups, one UEFA Cup and one Super Cup in just eleven years. He’s not everyone’s cup of tea these days, but Neal is undoubtedly a club legend. I went on a stadium tour recently and met the man himself. I always knew he had a record for the longest spell of consecutive games (365) but I learned that he had played a number of them with a broken foot. He was so scared of losing his place he would stuff his boots with newspaper. An incredible servant for the Reds. I did see Alec Lindsay play, but I really can’t remember much about him. Kennedy, nicknamed Barney Rubble will always hold a special place in Liverpool history for Reds of a certain vintage. 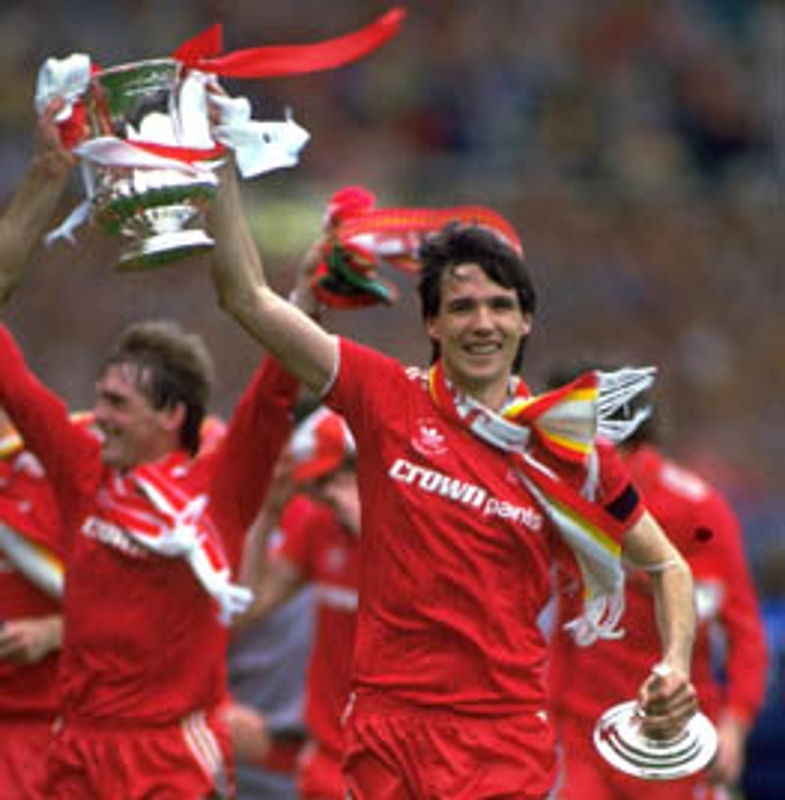 He only scored 20 goals for the Reds but many of them helped us clinch trophies. 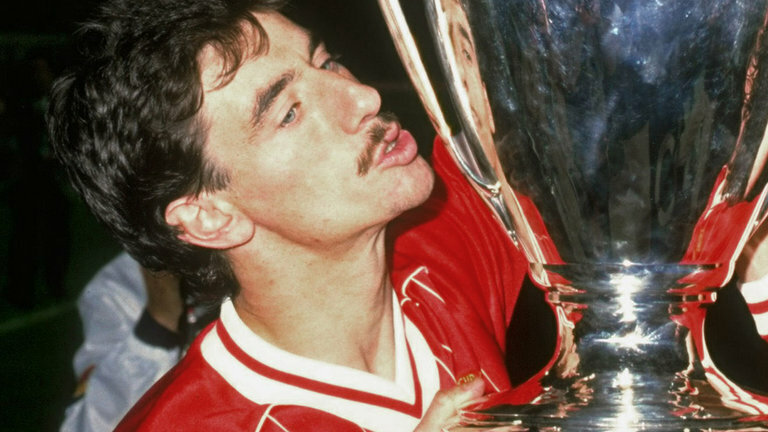 Who can forget him walking through the Madrid defence late in the game in Paris to deliver our third European Cup, or his wild celebrations after he scored the winning penalty in Rome in ’84. I always got the impression he was a big character in the dressing room and very much part of our success during that period. 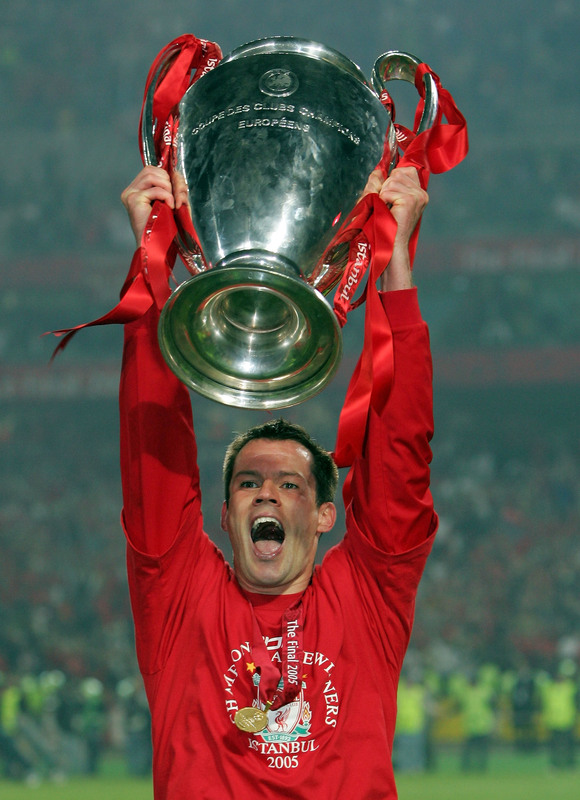 Without doubt the greatest centre back to wear a red shirt in my lifetime. Consummate in defence, he could also carry the ball out and set up attacks and putting the opposition on the back-foot. Hansen played a key role in the Reds record breaking season in which they only conceded 16 goals, a feat made even more remarkable when you consider the league was 42 games back then. Like all the players of that generation Hansen’s love affair with the club remains as strong as ever and the feeling is mutual. This was tough. Hansen’s position was guaranteed, the role of his side-kick could have one to any number of contenders. Phil Thompson, Tommy Smith, Mark Lawrenson, Emlyn Hughes and Sami Hyypia. In the end I have gone with Carragher because for me no Liverpool player has ever worked harder to get to the top that this lad. No defender before him has single handedly carried the back four the way he did. Hansen and others had the luxury of playing alongside sheer quality. Jamie at times was Liverpool’s last line. His performance in Istanbul alone is deserving of a hall of fame place. A team of Carraghers wouldn’t score many but no team would work harder. Another hard working Scouser who knew how to tackle. Jimmy left nothing on the pitch and could score the type of goals that only Riise would dream about. He scored 46 from midfield in 269 appearances. His is a Roy of the Rovers story that starts with a career playing for South Liverpool and ends with him winning the European Cup and many other honours. With Jimmy in the middle of the park the opposition would get no peace. Quite simply the greatest player ever to pull on the red shirt. A captain, a Scouser and a genius. I’ve lost count of the amount of times Gerrard saved Liverpool or lifted them to victory. 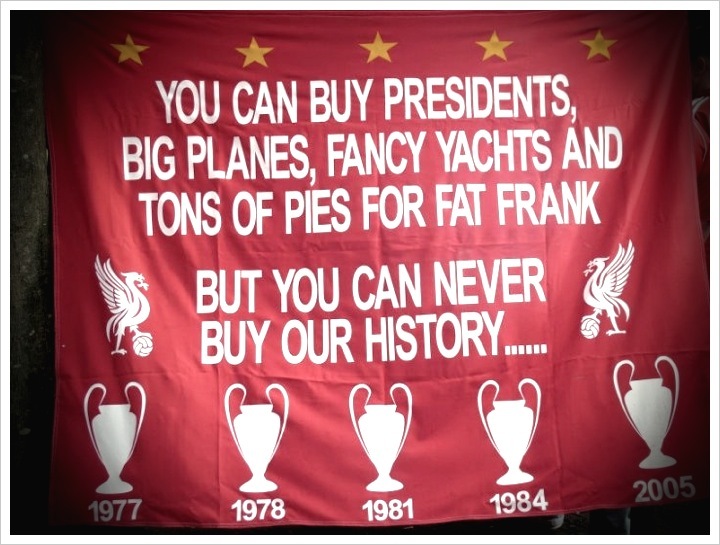 For a good decade he was Liverpool Football Club. Steven had everything. He could tackle, shoot, score, pass, defend and create. He played everywhere except in goal and his performance in the Ataturk in 2005, a game where he covered every blade of grass in the cause of his team was legendary. 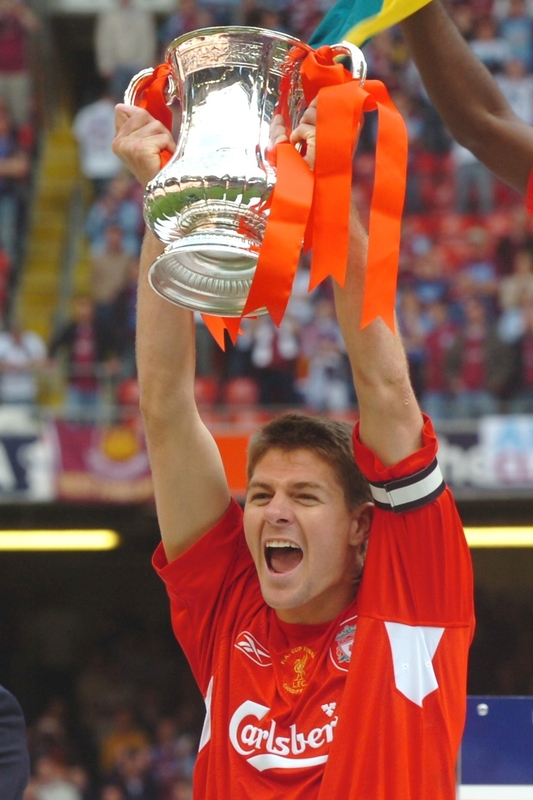 Gerrard scored in every major cup-final. Many will point to the fact that he never won the title, but given the squads he played in over the years he can be rightly proud of his trophy haul. I just had to get Souness into the team. His managerial career may have been a bust, but as a player he was untouchable for Liverpool. I remember his last game at Anfield and the Kop refusing to leave after the game until he came back onto the pitch to receive an ovation. “Souness must stay” they chanted, but the deal with Sampdoria was already done. Before Gerrard came along I would have had this tough tackling Scot down as Liverpool’s greatest ever midfielder. Souness had an astonishing passing range, a terrific shot, could score goals and nobody would argue with him on the pitch. He was a genuine hard man and you’d have to say he would spend most of his playing career serving bans if he played today. Nevertheless he is up there with the greats and would have to be part of any Liverpool eleven in my opinion. When Kenny signed Barnes from Watford for a bargain £900,000 it was to signal some of the most exciting football I have ever witnessed at Anfield. With him in the team the Reds simply blew the opposition away time and again. He was irresistible and when he got the ball the sense of anticipation in the crowd was palpable. He could dribble, shoot, score and create goals. Possibly the most exciting player to play for the club in my lifetime. Many will say Suarez deserves that title, but Barnes stayed with us longer and won trophies. 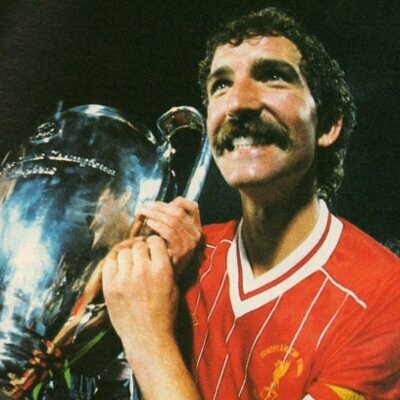 I firmly believe had he had the chance to play for us in Europe, he’d have brought another European Cup or two. Quite simply a goal machine. I remember him returning from a prolonged spell out the side with a broken leg only to score a hat-trick. Many say Fowler was the most natural goalscorer to pull on the shirt, but Rush did it over a much longer period. His strike rate was astonishing, 345 goals in 660 appearances. When Rush scored Liverpool almost always won.When Liverpool sold him to Juve it broke my heart. I remember finding out that he was coming back on Ceefax! (that was just a crap internet for the younger readers among you). I was delighted and phoned everyone I knew. He has to be one of the best strikers in the clubs history. As a kid growing up, this man was a God to me. My bedroom was like a shrine to him. He was unbelievable to watch and the sight of him, arms held a loft a great big grin on his face after he had scored became one of the most iconic images in football. I was privileged to see him play and he was every bit as good as his legend says he was. In particular the partnership he struck up with Rush was exceptional. 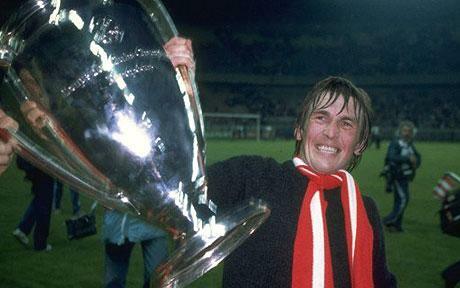 Dalglish was a goal scorer and a creator. He came to the club a relative unknown as I remember. He was replacing a superstar in Kevin Keegan. 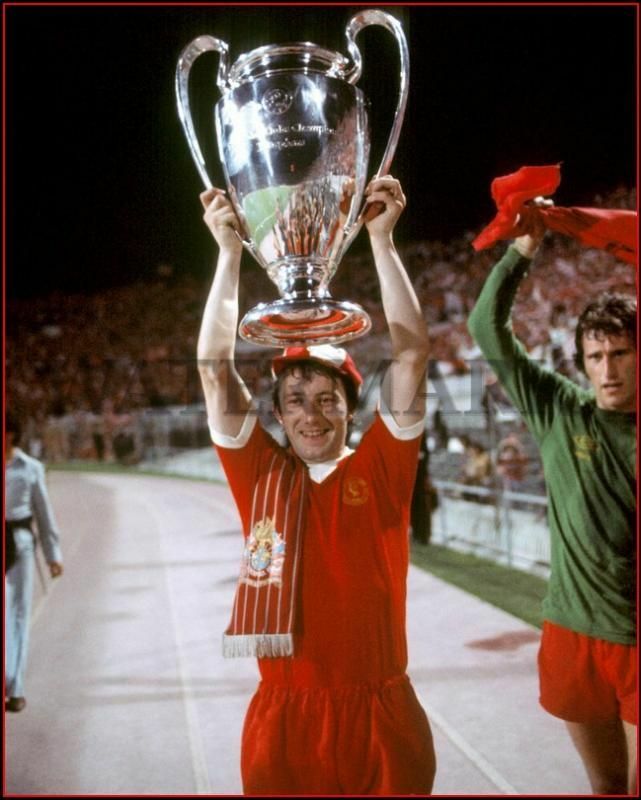 He didn’t take long to become a Kop favourite though and his goal against FC Bruge to win the 1978 European Cup Final capped a memorable first season on Merseyside. He will forever be The King and he is definitely cooler than The Fonz. So, that’s my lifetime eleven. Everyone of them is a world-beater. However, you only really get a sense of how blessed with talent our club has been, when you consider those I left out.